The St. Patrick’s first graders decided to do their part to help those who go hungry. They put together a SOUP drive for the Manna Food Bank. 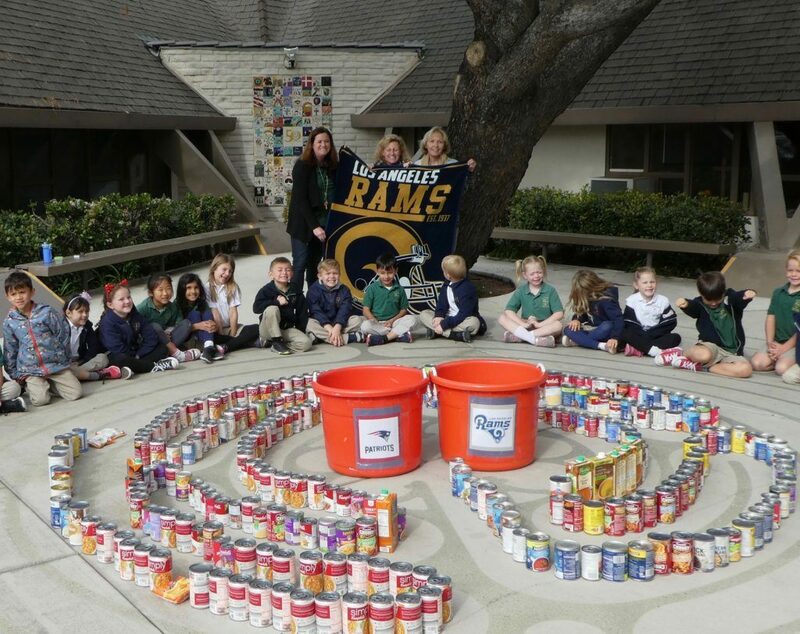 Asking parents, friends, and neighbors, they received 313 soup cans for their efforts over a two-week period. But in the spirit of the football season, they asked their contributors to vote for the team that they thought was going to win the 2019 Super Bowl by placing their soup in the corresponding bin. The Rams, the local favorite, was the team of choice. Thank you to all who gave to the St. Patrick’s 2019 SOUPER BOWL.